If you would like to arrange to come to Amerton Farm on a pre visit to see all our facilities please ring and make an appointment. We do organise Teachers Twilight Sessions every term. Amerton Farm has for a number of years welcomed schools, nurseries and playgroups along to visit Santa in his Winter Wonderland Grotto. Many visitors return year after year, with both children and adults finding it a magical experience. 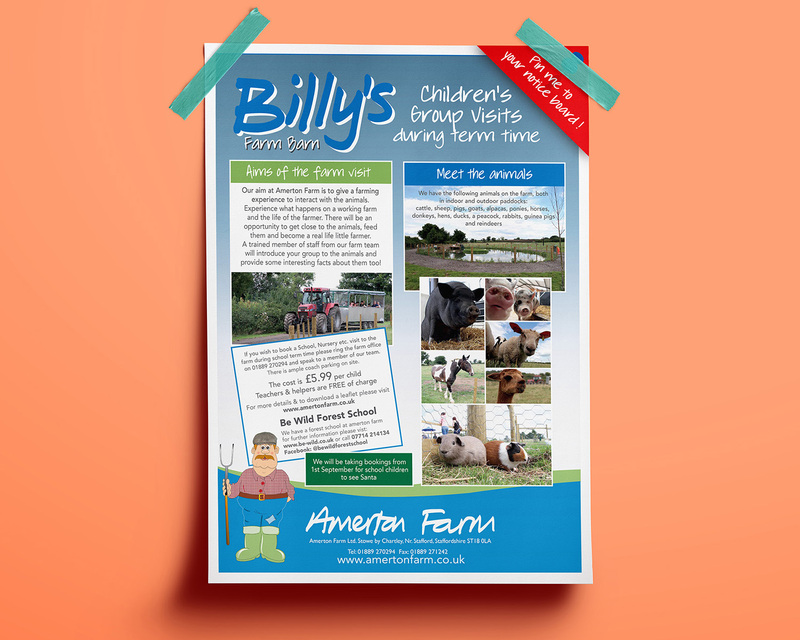 Here at Amerton Farm we have carried out a refurbishment of our education facilities and we have now moved our farm animals into specially designed housing and paddocks behind our new Billy’s Farm Barn. We are now fully equipped and open to take school trips around the farmyard, providing a FREE tractor & trailer ride and an opportunity for both the staff & children to receive hands on experience of being a farmer for a day, guided by one of our experienced members of staff. The cost is £5.99 per child for the farm visit, staff and adult helpers free. 10 am Arrival at Billy’s Farm Barn. 10.15 am Your children will split into groups and will be introduced to all the animals and have a tractor and trailer ride around the farm. 12 noon Children will have their packed lunch in the party room in Billy’s Farm Barn or a picnic outside weather permitting. After lunch there will be an opportunity to take a break to play in Billy’s Farm Barn or use our outdoor play facilities including the Bouncing Pillows. minimum of 6 adults 30 Mins The volunteers at the railway will take the children twice around the track which is a mile journey around the fields at Amerton Farm. Wednesday is the best week day to organise a trip on the railway. Children will have an opportunity to talk about the history of the railways and a tooting on the horn is a favourite pastime for all the children. Amerton Pottery £20 16 20 Mins Jamie will demonstrate the art of throwing a pot on a traditional potter’s wheel and explain how the pottery is fired and view the kiln it is fired in. British Wildlife Rescue Centre £35 32 25 Mins Dawn and Abby will visit the Party Room in Billy’s Farm Barn with an Owl, hedgehog and two other wild animals, talk about the animals, the children will be able to ask questions and get to know the animals. Amerton Blacksmith £20 16 20 Mins Jez is a traditional blacksmith working in metal at a forge, he will demonstrate how he works and make a metal coat hook for the teacher to take back to school to hang her coat on. Unique Metal Work £20 16 20 Mins Neil up cycles old metal objects and he will show children what he makes and welds together to create unique items for resale. Just Mortgages £20 16 20 Mins Jason specialises Mortgage & Protection needs and is based at Amerton Farm. If you are doing a maths topic and the children need to learn a little more about the financial world this may be of interest to years 5 and 6. Be Wild Forest School £100 32 60 Mins Lisa will take the children to the Forest School Copse and with the help of school staff they will participate in forest school activities i.e. mud kitchen, hammocks, construction zone, team building activities, mini beast hunt etc. Amerton Bakery £20 16 20 Mins Richard and his staff will talk about the art of baking bread, cakes and pies. The children will see the oven and learn about food production first hand. Grooming & Petting Rabbits and Guinea Pigs £20 16 20 Mins Amerton Farm Staff will organise the grooming and petting of the rabbits and guinea pigs. There will be an opportunity to handle the animals during the session. Grooming Ponies £20 16 20 Mins Amerton Farm Staff will organise the grooming of the ponies and there will be an opportunity to handle the animals during this session. (teacher or carer must be present) 30 Mins Francesca would show children the process of making a silver hand print necklace. Process includes print taking, rolling & stamping silver, firing & polishing. She would take all the children’s hand prints which they would get to take home. Hoglets Wildlife Education Workshop £100 32 (Max) 60 Mins Through fun educational activities, our experienced primary school teacher Andy will give children an introduction to our British wildlife and teach them how they can look after it. Within the workshop, all children will meet a creature and create a bird feeder to take away with them. They will also be given a bird spotting sheet, so that they can continue their learning back at school or home. Our staff can cover a wide range of items within the school curriculum and we are happy to talk to staff about specific needs for your group prior to the visit. We can also provide risk assessments on request. Please telephone 01889 270294 to book your visit. Please note we will be taking bookings for School Santa visits as from 1st September. 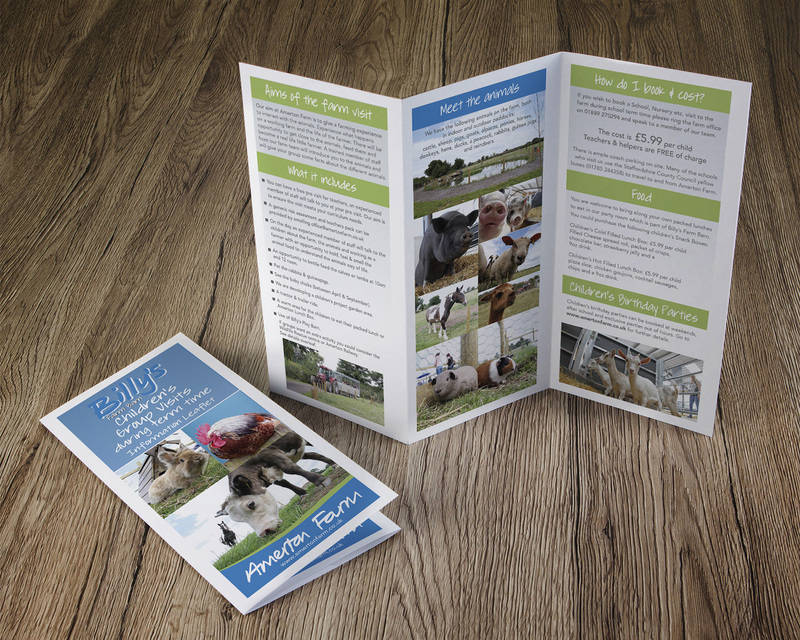 #teamamerton are look forward to seeing you soon at Amerton Farm.